Now that it's well and truly Spring, I thought I'd do a little series called Spring Makeup Picks to show you what products I think will be fab for this season. 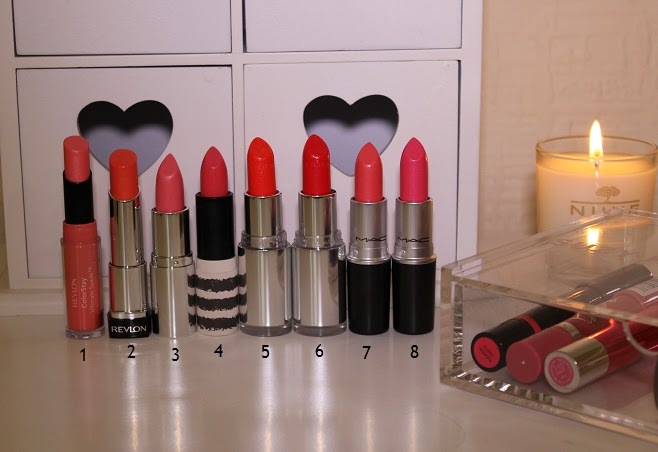 Today I'm talking lips so it's lipsticks, glosses and crayons galore. 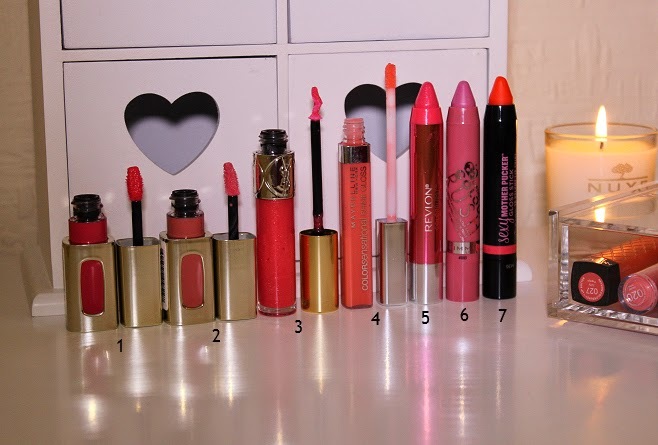 When it comes to lip products, I'm thinking pinks, peaches and corals are perfect for Spring. 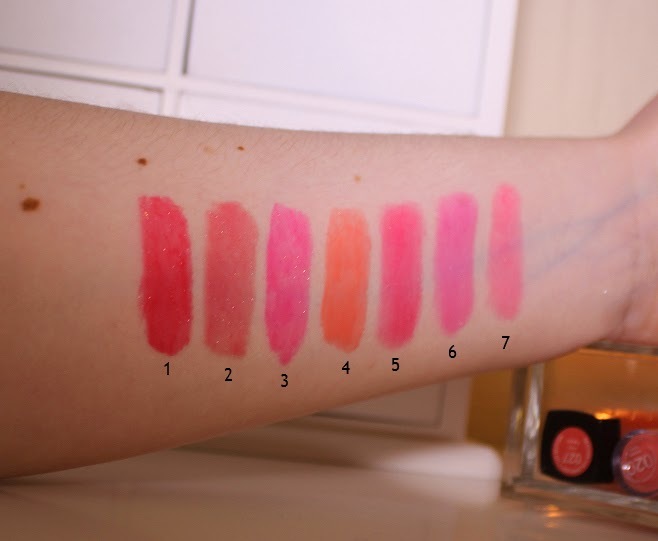 Check out my picks for fresh, juicy Spring lips! 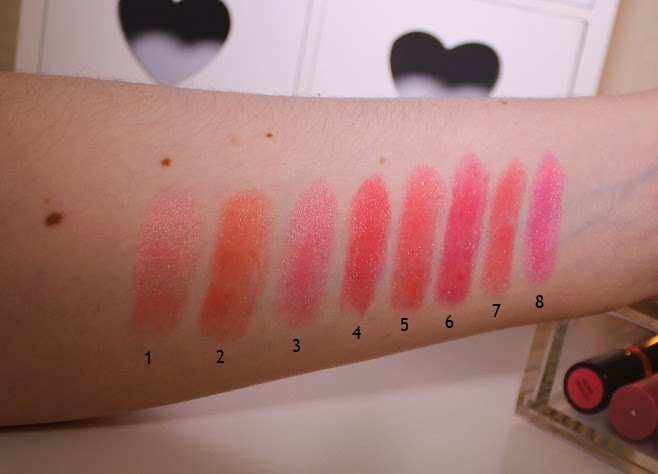 What are your Spring lip favourites? 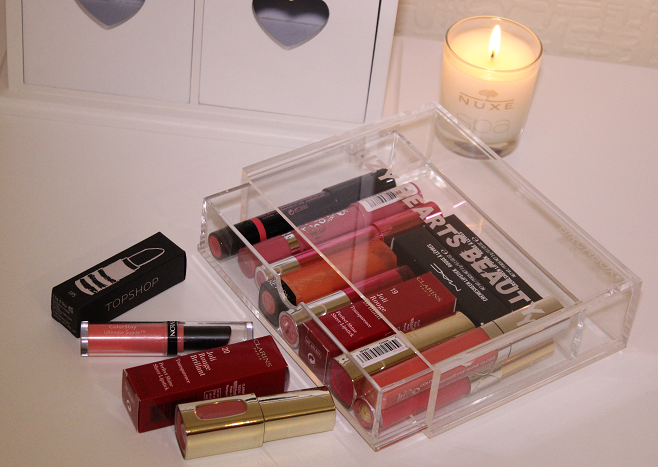 I also really want to know where you can get the printed acrylic drawer from!